When the holiday decorations go up along Oxford Street and the local shops start selling Christmas pudding, the time to travel home to celebrate the holidays arrives. But if you can’t make the journey this year and London is your home-from-home, there’s hope yet for that “home-cooked” meal you crave. Niamh Shields, the mastermind and foodie (one of the UK’s most influential) behind Eat Like a Girl, takes us through the city to find the best eats to remind us of mum’s cooking. I am a passionate home cook that loves to dine out. Of course, I want to have good food wherever I go and I don’t have the time or patience for meals that leave me feeling empty. I want every calorie to be worthwhile and packed with gorgeousness and amazing flavours. And in London, I certainly have my favourites. These restaurants are ones I love to return to because I not only know the food is good, but that I will feel right at home gulping down their local plates too. I don’t think there is anything more homely and comforting in this world than a delicious dumpling. For some of the best, savoury, fluffy dumplings in London, these restaurants are top of the crop. As you arrive to Jen Café, you’ll often see the ladies making fresh dumplings in the window, hand rolling the dumpling wrappers and filling them with a pork cabbage mix before pinching and pleating them shut. Personally, I love them fried so they’re crisp on one side. Always dipped in a balanced mix of black vinegar, soy sauce and a splash of chilli oil, these dumplings will give you visions of a home-cooked Chinese meal. A perfect spot for traditional dim sum, I like to go in the middle of the afternoon when it tends to be a bit quieter at Royal China’s flagship restaurant. While there are lots of great dumplings to try here, I always order the classic Xiao Long Bao. If you really want to up your dumpling game, though, try their crabmeat dumpling soup, and it’ll warm you to your core. This shop gets crazy busy on weekends, so if you aim to visit then, go earlier than you want to eat as the queues can be long. I love to perch at the bar and really indulge here. 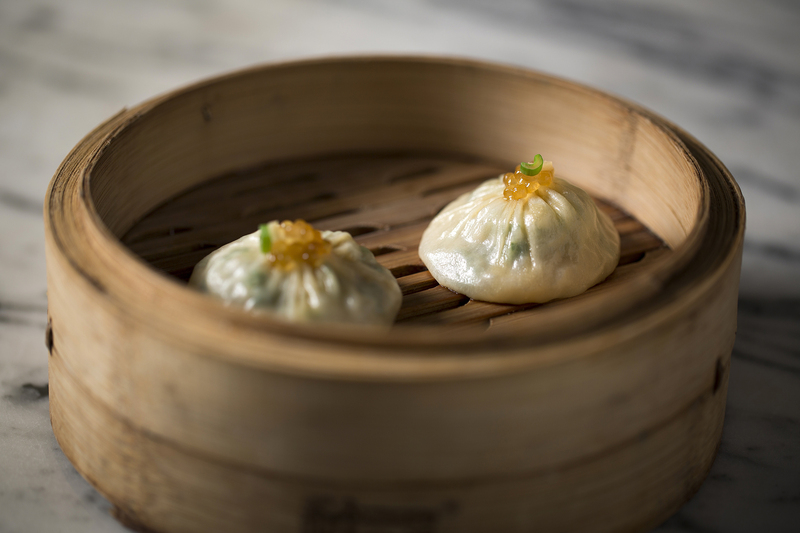 A. Wong restaurant has some of the best, most creative dim sum in London. Unlike many Chinese restaurants, here you can order individual dumplings, which means you can to try all different kinds! I love their take on the Xiao Long Bao (pictured above), the Shanghai steamed dumpling with ginger infused vinegar, and the pork and prawn dumpling with pork crackling really is a cut above the rest. 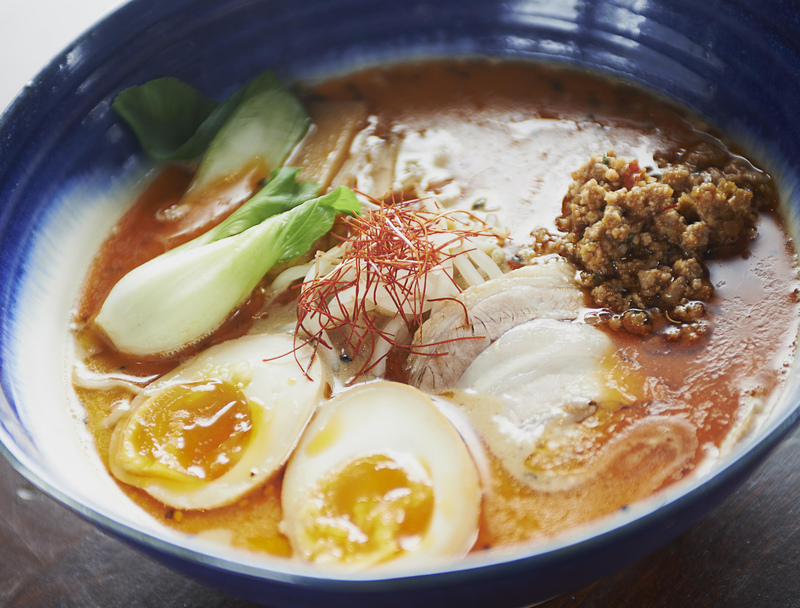 A good broth is a deeply satisfying thing, and there are few more life-altering broths than those served up at the best London ramen restaurants. With a loud, boisterous and rock n’ roll atmosphere, Bone Daddies dishes up “Japanese soul food”, and certainly some of London’s finest ramen. I love the punchy tantanmen (pictured above), but you’ll also find great soft serve, and please add the Korean fried guinea fowl to your list of dishes to try. But don’t be fooled by the loose and loud vibe – meals at Bone Daddies are lovingly and painstakingly prepared Japanese favourites with a little extra flair. If you fancy a more laid back and mellow vibe, make your way to Kanada-Ya. Cooked to your preference, their signature ramen has ties straight to Japan: recipes are sourced from founder Kanada Kazuhiro, who runs the other restaurant… in Japan! I love the Gekikara ramen with a mound of spiced tan tan-style pork on top. And while you’re ordering, here’s a pro tip: always ask for extra hanjuku eggs and black garlic sauce. It makes a world of a difference. I go to Tonkotsu for their namesake tonkotsu ramen, which is creamy and silky and undeniably flavoursome, especially considering the pork’s been cooked for 18 hours. Go ahead and tilt the bowl up to your mouth, hoovering ramen and broth into your gob with joy – the restaurant highly encourages it! In fact, they claim it’s the “traditional” Japanese way to enjoy the dish. If I am feeling in need of a little lift, the chicken ramen is an excellent Japanese chicken noodle soup. Double that up with Tonkotsu’s gyoza, or Japanese-style dumplings, and it’s the pick-me-up of your dreams. There are so many terrific London options available for a bit of spice, from curry-centric favourites to traditional Indian plates. No matter your background, these are top picks in town. Everyone loves Tayyabs, as testified by the long queues on a regular basis. I’m certainly no exception. A family owned and operated business, you’ll be dished up authentically “home-cooked” Punjabi cuisine. Go for the Karahi lamb chop masala, a chef’s specialty, order seconds, and stay for everything else on the menu. If you want more spice, the Dry meat main curry is arguably the hottest item on offer. Hoppers. Not just the name of this London restaurant, but also what you want to order here. Well, an egg hopper, to be exact. 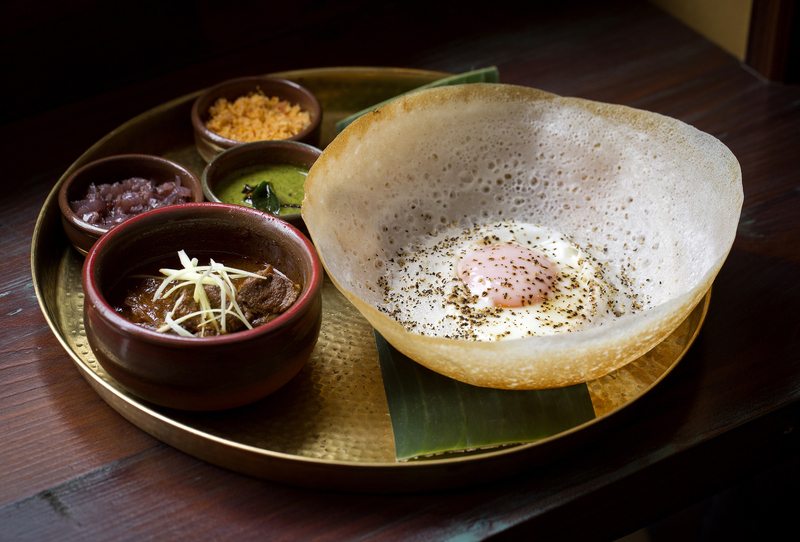 A bowl-shaped fermented coconut milk and rice pancake with an egg fried inside, this is the belly-warming Sri Lankan dish you’ll crave this season (pictured above). While you’re at it, get the black pork curry and condiments on the side, and I also love the black pepper cream soda to wash it all down. Maybe I’m biased, but pizza has got to be on everyone’s favourite food list. And if the Italians are all for it, I’m on board too, but who has time to travel all the way to Italy to get the best of the best? 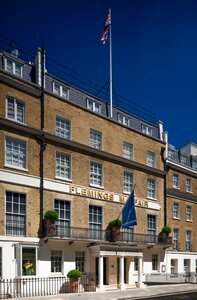 Don’t fret – London’s got you covered. 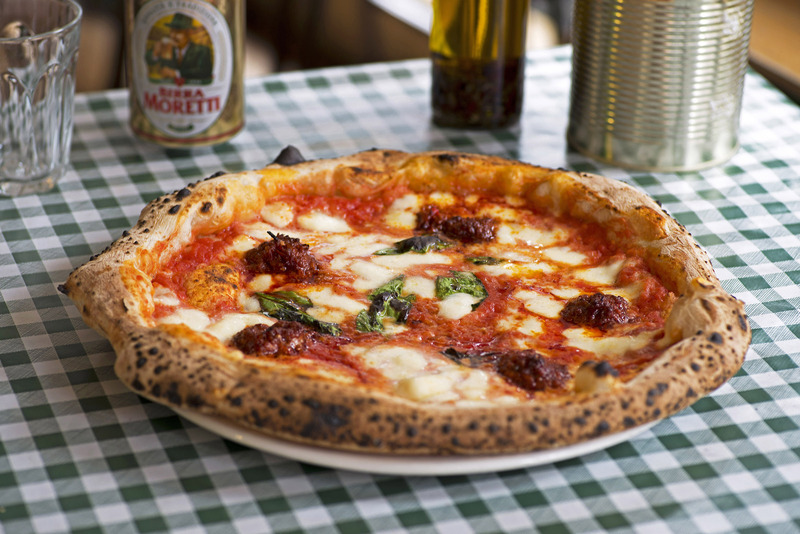 Arguably one of the most fun places to eat in London, the pizza here is also very good. But that’s to be expected, considering the geniuses behind Pizza Pilgrims learned how to make the best Italian pizza after embarking on a 6-week self-proclaimed pizza pilgrimage, learning from the pros throughout southern Italy. I love the signature ‘nduja pizza with its spicy sausage topping (pictured above). They’ve even been known to tinker with traditional recipes and testing new creations. Have you tried their recently developed pizza crumpets? It’s the perfect London-Italy balance. Wine on tap too… Really, what more could you want? If you can’t make it home to your family dinner table, you can find the next best alternatives for classic British and Irish home-cooked meals – but taken to the next level. Just don’t tell your mum you’ve replaced her cooking for someone else’s! You can order anything here and be entirely satisfied, but I encourage you to treat yourself and go for the Welsh rarebit with a glass of house champagne for a mid afternoon snack or cheeky brunch. A fan favourite, though the menu changes daily, the Welsh rarebit is a St. JOHN staple (pictured above). Plan a non-traditional holiday meal here with a large group of friends or family, then take home their Welsh rarebit mixture to try making the dish yourself too. The feasting menu provides a mouth-watering meal for everyone. If you really want to make a splash, pre-order the whole roast suckling pig. Deceptively simple and fiercely seasonal, I love the food and vibe at 40 Maltby St. The menu changes weekly in relation to the seasonality and availability of local British food. I had wonderful tempura tomatoes with garlic aioli during my last visit. A perfect bite that keeps me coming back to try more and more. They also offer very interesting and delicious natural wines too. 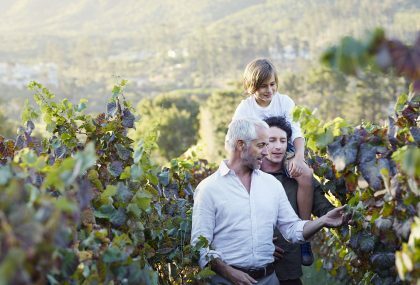 Emphasis on natural, as they source wine from suppliers who let nature do most of the work. Grab a seat at the bar and prepare yourself for world-class seafood. Order some calamari to snack on then graduate to some of London’s best fish and chips. Oysters too, of course, straight from the British and Irish isles. 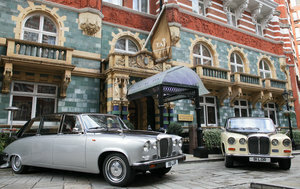 Bentley’s boasts the most oysters shucked per day in London – more than 1,000 every day. And you can bet they’re delicious, but if you have any doubts, just ask any of the master shuckers who are brimming with quiz-show-style answers to your every oyster question. As for me, I know the oysters are to die for, and I take mine with a glass of Loire muscadet. 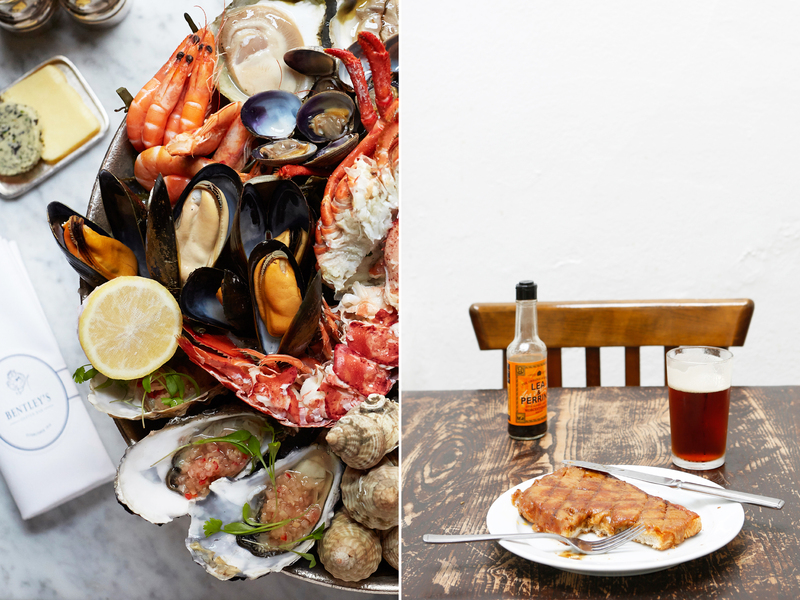 London’s supper club movement has created some brilliant dining experiences in London, so you if you’re looking for a seriously – literal – home-cooked meal, you’re sure to find it here. 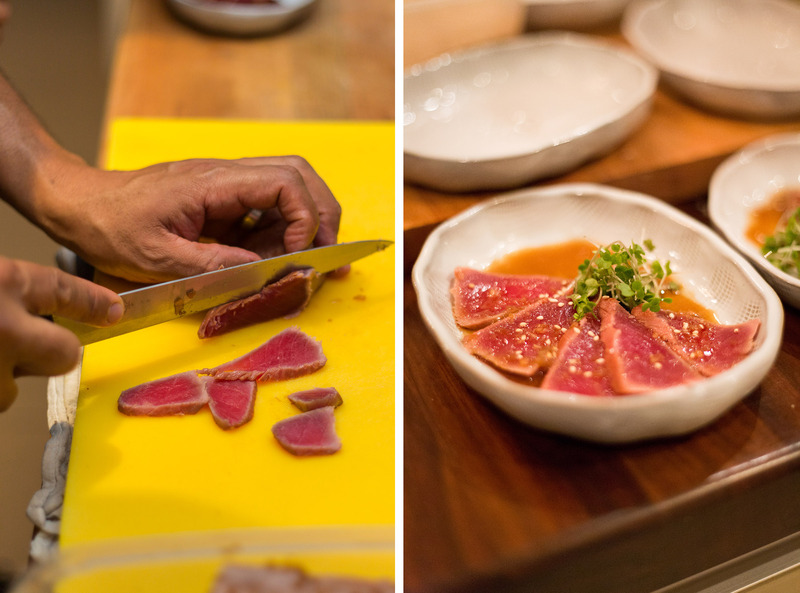 Luiz Hara, founder and chef of The London Foodie Supper Club, serves his own Japanese food with a South American twist right out of his own home. 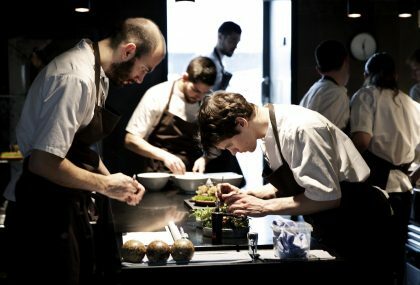 He also hosts some of London’s best supper clubs. The experience is primarily a teaching opportunity with visitors observing and listening to Luiz walk them through a recipe. Of course, you get to eat the food once it’s finished, but it’s an extra bonus to walk out with a menu in hand to replicate the meal yourself. The food and class are wonderful, but they’re only part of the experience. 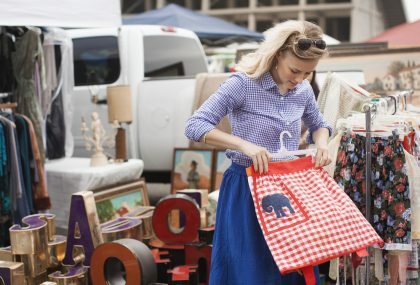 Participants get to eat on shared tables for an extra sociable affair, plus you can bring your own adult beverages to enjoy along with the meal. 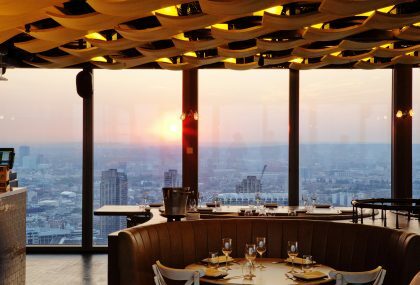 If these delicious dining stops have your stomach growling in hunger, book your trip to London now and satisfy that craving.